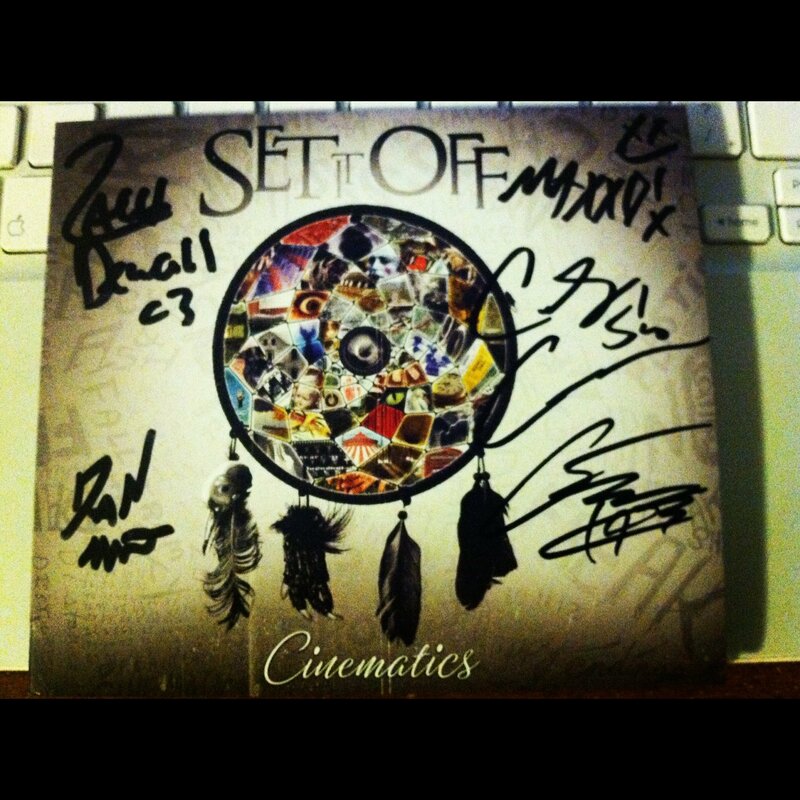 From the very start of the debut album, Cinematics, from Set It Off a tone is set for what you can expect to hear. This album offers you a great lyrical ride through the mind and experiences of lead singer Cody Carson. The album covers various topics from anxiety, relationships, acceptance, and loss. The album starts off lyrically with “Nightmare”, which is a strong, and a fun track to listen to. I won’t get into what each track means, since Cody did a track-by-track explanation, which can be found on YouTube. I think this was a great choice to start with, it really gets you excited to keep listening to find out what is going to come next. One of the big things that I love about this album is that the style is all over the place. No two songs sound the same, so there is something for everyone. This is not an easy feat to be able to do, but the band tackles it beautifully. From different instruments, including brass instruments on some songs, vocally they sound different on various tracks. I think a good example of this if you listen to “Plastic Promises” and “I’ll Sleep When I am Dead”, the vocals sound different than on more hitting tracks like “I’d Rather Drown”. Definitely not a bad thing I love the change up of style, keeps things exciting and never boring all the way to the end. I usually listen to all albums on shuffle that way I do not know what order the songs are going to come up in. Ever since I got the album on the 17th, I have been listening to it but whenever I heard track 10 “Dad’s Song,” I have to finish the last three songs in order. The last three tracks are very strong points on the album, and I think a fantastic way to close out the album. They are “Dad’s Song”, “I’d Rather Drown”, and “The Grand Finale.” “Dad’s Song” is a very touching and moving track about the lead singer’s father who passed away. I am not too proud to admit that it touches me every time I hear it, and makes me think of my grandfather. Immediately after this moving ballad the band picks the pace back up with a sped up and biting song about a girl called, “I’d Rather Drown.” Finally “The Grand Finale” was the perfect way to close out the album. The track is about how people would respond when faced with the end of the world, and actually features some screaming which fits with the song perfectly. I will not get into too much detail on this song Cody’s explanation is fantastic and deserves to be checked out. Overall this is an amazing album. I had wanted to do an unbiased review of this album, but it is just not possible. I really enjoy this record, and have not stopped listening to it since I got it. Only thing left to say is, if you haven’t yet, I do not know why you have not added this album to your collection yet.